Celebrate Spring with Spa Deals! During the months of March & April try out some of our most popular treatments at a special price! *These prices cannot be combined with any other coupons, text offers, or promotions. Special pricing is available while appointments last. We will be closed for Easter on Sunday April 1st. APRIL IS AUTISM AWARENESS MONTH . Come to the Spa to pick up a coloring paper for a $1 donation. Color the page or have a child color it. Tape it to our mirror. The most colorful drawings will win prizes. Our goal is to raise $100 to fight for a cure for Autism. A DMINISTRATIVE EXECUTIVE (SECRETARY'S) DAY is April 24th. Corporate Rates available on Gift Certificates. We make Custom Gift Baskets. Shop online with the link below & see coupon for in-store gift card purchases. CLICK HERE to purchase Gift Cards instantly! -NuFace Lifting Class demonstrating different techniques for improving your skin's texture and reducing wrinkles. No charge for event, but guests must reserve their spot as space is limited. Infinity Sun Spray Tanning unites the highest quality skincare products with all-natural, anti-aging sunless tanning blends. Together with enhancement products, these lotions prepare the skin for optimal sunless tanning results. With Infinity Sun's unique aftercare regimen, our clients enjoy beautiful, long-lasting results. Special discounts available for parties of 3 or more. Call 909.793.9080 to book. Recently, we have seen Murad products in unauthorized stores and online. Please consider continuing to purchase your products from International Day Spa. Products sold by unauthorized retailers or sites are referred to as 'diverted' because they are products diverted from authorized sellers. 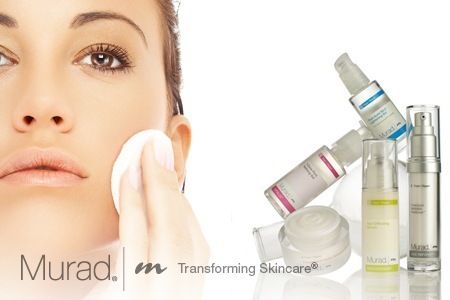 Genuine Murad products are sold only at professional spa locations. Remember to tell the receptionist the name of the employee who recommends your products to you. Our team members earn commission and rewards for their knowledge and sales. May not be used with other retail discount.Coupon has no monetary value.